The word "raptor" comes from the latin word "rapere," meaning to seize by force. 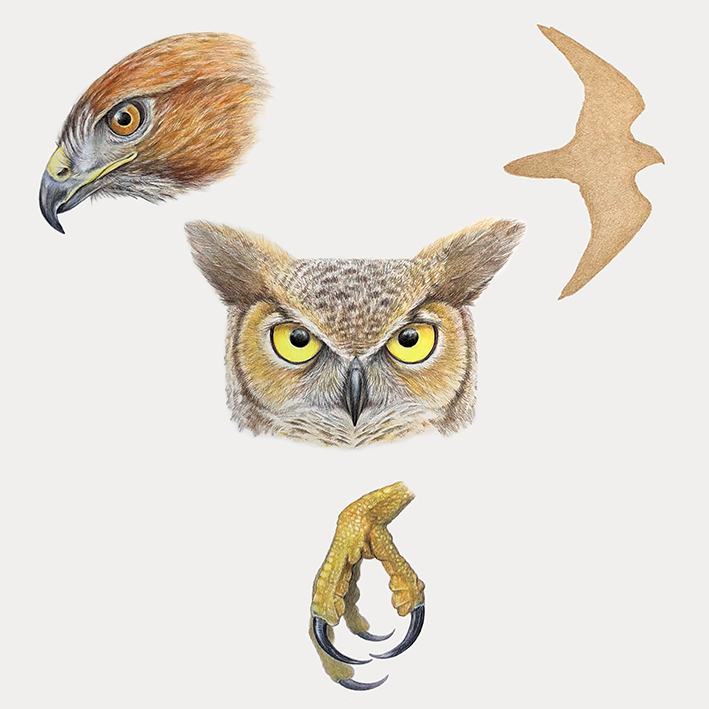 Features of a raptor include a hooked beak (red-tailed hawk), keen eyesight (great horned owl), a form that follows function (peregrine falcon silhouette), and powerful talons (cooper's hawk). These characteristics enable them to be excellent hunters.